Our experience makes us the best team around! We have many years’ worth of experience in the industry, making us the company to fix your faulty door! Here are some of our latest repair projects. Customer Issue: A recent hail storm had caused extensive damage to two panels in this customer's garage door. Our Solution: We removed the damaged panels and replaced them with new painted panels that matched the others on his door. He was very pleased with the looks of the door. 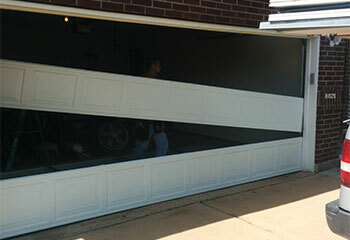 Customer Issue: Mr. Dennis asked us to install a new garage door. Our Solution: The customer selected an Amarr Heritage Traditional steel door with lifetime warranty. After installation, we checked the door and made sure there were no problems. 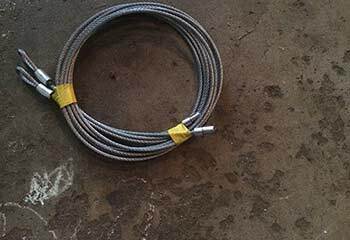 Customer Issue: The cable needed to be urgently replaced to prevent the springs from snapping. 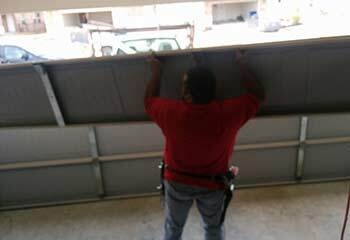 Our Solution: We fully opened the garage door to release any tension in the spring system and secured it. We then unhooked the spring system, replaced the broken cable and set up the spring system again. Customer Issue: This client’s door came off of its track due to wear and tear of the rollers. Our Solution: We disconnected the door from its opener and manually opened it. We put pliers on the track to lock it in place. We then replaced the rollers and put the door back on track. 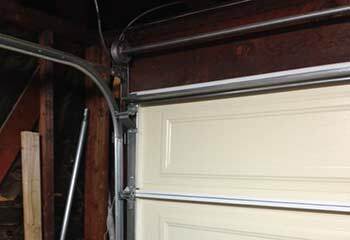 Customer Issue: An automated garage door needed to be installed. 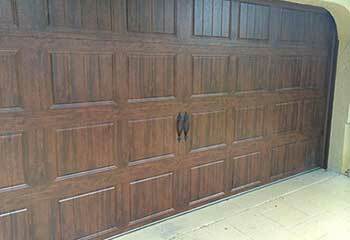 Our Solution: We installed a Clopay Ultra-Grain carriage house door from their Canyon Ridge Collection.